Dipan Shah is a Full-Time realtor who has been working in the business since 2004 with expertise in Residential, Commercial and Investment Property. Mr. Shah has won the Circle of Excellence Centurion Award. His goal is to make the transition as smooth as possible through helping his clients through each and every stage of the transaction of buying or selling property. 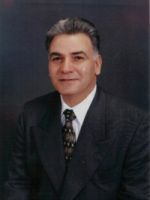 His main focus is throughout New Jersey to help maintain and strengthen the leadership in the Real Estate Market. Feel free to call or email with any questions, I am happy to provide all your answers any time, any day.